Discussion in 'Follow Alongs and Online Journeys' started by shafi kasmani, Jan 28, 2017. Today I deposited $5 on popcash and future more deposits! 6 campaigns X $0.5 = $3 total convert 3000 visitors! i am waiting for pending campaigns! Nanette, Brittany Eubank, hasi and 2 others like this. All are direct linking without landing page! Nanette and Martini like this. 1. Up your budget. $5 is not enough to test offers that payout around $30. 2. Split test your direct link with a review style LP. I've promoted CB in the past and had better roi with blog style review LP's. That wasn't with pop traffic though, but still I think you should test it. Nanette, game333, azgold and 1 other person like this. I agree what you said! I will deposit more soon! First test about direct linking then if not work then landing page or blog if not work then reviews! Agree? You can easily split test in your tracking software by rotating LPs and offers. You don't have to set up different campaigns and wait for them to end and start a new one with different settings to see what works. You get data in real time and optimize a long the way. Nanette, game333 and azgold like this. so you're getting hops but not sales? where you later on can sell them? Nanette and shafi kasmani like this. Suppose example I have squeeze page then promote popcash then 1000 traffic then how many subscribe? Few or more? I think mobile is better than desktop! 4 campaign are good but not sale! Then I deleted 4 Campaign for not work direct linking! I make 2 campaign for divide desktop and mobile now! 5 survival Products Discount 100% Off - Myshafiz Shopping is good or bad? Hey buddy, like I said before; you're making optimization changes with very limited data. As for you LP. I would keep it focused on ONE offer per LP. OR rotate LP's with 1 offer AND a LP with multiple offers, to see what converts best. Also your LP is in WP, I would make a html version of this. 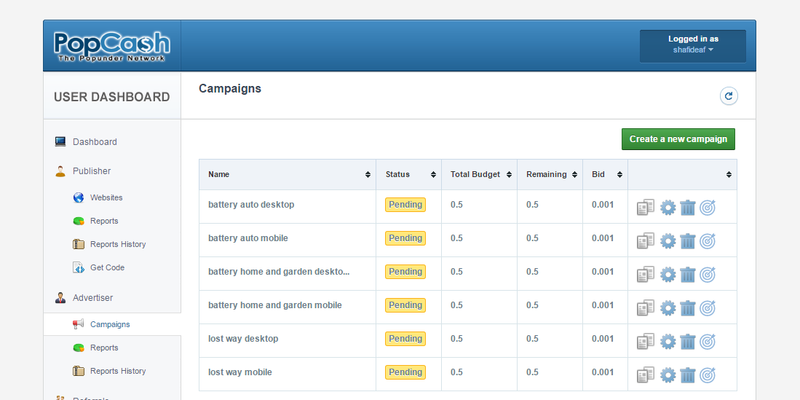 This will make the LP load a lot faster and that can make huge difference, especially in mobile campaigns. Nanette, Prabal and shafi kasmani like this. Before i made blog or landing page then check pingdom for slow loading or fast loading then i found some images are high mb then i removed some images then now my website is fine loading some fast! my landing page was 8 sec then now it is 6 sec! my blog is 1 sec now! squeeze page blog campaign but not work collect subscribe! i think maybe it is not good blog! i am waiting for running popcash and report soon! Congrats for taking step up on your first campaign, but you should listen to other advice, build a funnel. shafi kasmani and harvey6032 like this. Mobile is growing day after day, very soon desktop (or laptop) will be only for developers and older people. I felt rough and not well about clickbank is not match popcash! I spent more but above 4000 clicks but NO earning! I think to say you cpa offers are best on popcash! Next time you will not use clickbank products on popcash or popads! I will plan to work buzzcity soon with cpi offers! I like your journey. Have you actually pushed any traffic to the CPA offers? Let us know how BuzzCity goes. Good luck!